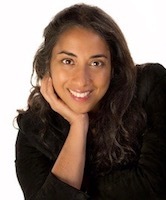 Reena is a Psychology graduate, Regression Hypnotherapist, NLP practitioner and between lives regression therapy in the UK She is also a trainer for the Past Life Regression Academy specialising in Between Lives Regression training. She is the author of the award winning book Shrouded Truth covering the past life journeys of eight souls close to Jesus in Biblical times. Since 2009 she has travelled around the world under the direction of spirit to energy portals and energy centres to embody a high vibrational energy matrix to Earth. Over this period she has also cleared intrusive energy from people and various sites. Reena is a clear channel for the Council of Beings of Light.